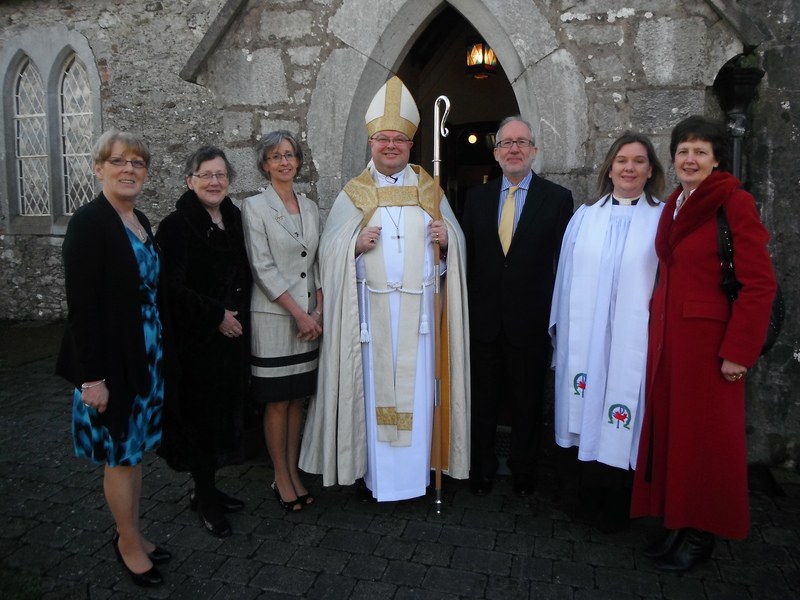 In Cork, Cloyne and Ross, on Saturday 16th March, Patsy Devoy was commissioned as the new Mothers’ Union Diocesan President. Oriel Lester was also commissioned as Diocesan Secretary, Hazel Sherlock as Marketing Co-ordinator and the Rev Isobel Jackson as Diocesan Chaplain. Phyllis Grothier (Mothers’ Union All-Ireland President) was present, as was Reg Bailey (Mothers’ Union CEO) who preached on the theme of servant leadership. During his time in Cork Mr Bailey addressed a meeting which had been organised by a team from the Parents and Kids Together (PACT) programme, that is part of the YMCA. Mr Bailey explained the Bye Buy Childhood Campaign and the Bailey Review – the latter is an independent review for the UK Government on the commercialisation and premature sexualisation of childhood. Round-table discussions together with a plenary session clearly indicated the need for more education and communication on these topics. The session was attended by youth workers from a number of agencies as well as parents and grandparents. This entry was posted in Bishop, Church Services, Diocese, Mothers' Union. Bookmark the permalink.